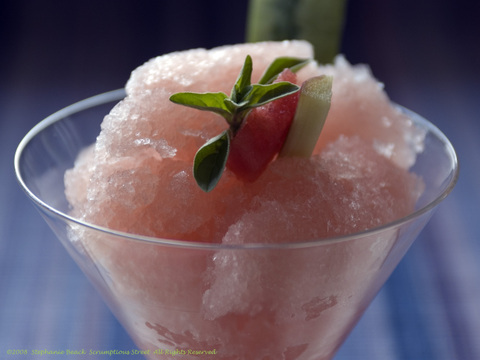 I love the colour of your granita, its a lovely pearly pink. I would never have thought of using rhubarb. Hi Katie, thanks so much. Yes, it was an exciting idea when I thought of the watermelon and rhubarb combination. The ripeness of the produce will definitely affect the final color too. It's a terrific dish, nevertheless! Watermelon and rhubarb sound spectacular together. Sweet, tart, and frosty--what's not to love? I completely agree with Susan, watermelon and rhubarb sound like a really good combination. I got the recipe down, I am just leery on using the juicer that I have. Either way, thanks for sharing.